Guild, who grew up in West Hollywood, founded Placepull in January 2018 and now has a team of 20 people working in places around the world. 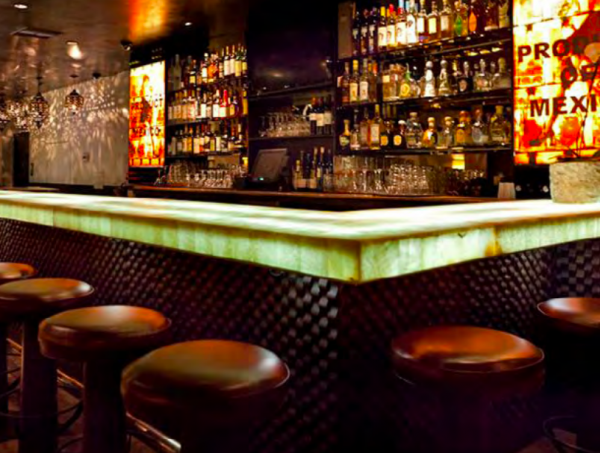 His first customer was EG Hospitality, the restaurant group owned by John Halter, Mina Azami and Morten Kaag that owns Tortilla Republic on Robertson Boulevard and Taste on Melrose, among other locations. 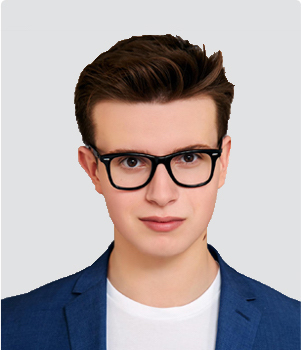 Guild, who as a child had dreams of becoming a lawyer, took a bold step at the age of 12 onto the path that led him into digital marketing. He was in the sixth grade at the Center for Early Education, where neither he nor his fellow classmates were allowed on Facebook “and all really wanted to be,” Guild said. He came up with a solution that he called Centerpedes Connect, a social network. “This was my gateway drug of building something useful for a group of people who would find it to be really helpful.” That is how Guild describes his work as an entrepreneur. The school asked Guild to shut down Centerpedes. But its launch inspired Guild to use his skills in another field in which he was interested: gaming. The company, Pristine Technologies, became a huge success. “At its peak, we had a team of 50 people globally (mostly volunteers who loved our experience and a few full time professionals),” Guild said. One project was inspired by his mother’s need for help with Groom, a high end dog grooming salon and accessories shop that she had opened in 2017 on Nemo Street in West Hollywood. “She was devastated and afraid because she feared not succeeding with building the business she worked so hard to build, ” Guild said of his mother, Toni Kotite. “Despite investing so much time and money in creating an amazing customer experience, it was really difficult for her to draw people in initially. “Once new customers experienced Groom, they loved it, but it was really difficult for her to get new people to come in initially because she’s on a street with no foot traffic. “She was absolutely devastated because she thought she was going to lose it all, and she asked for my help with marketing. So I started experimenting with the different growth hacking (results-based digital marketing) tactics that I’d used to such success in consumer technology, and BAM! 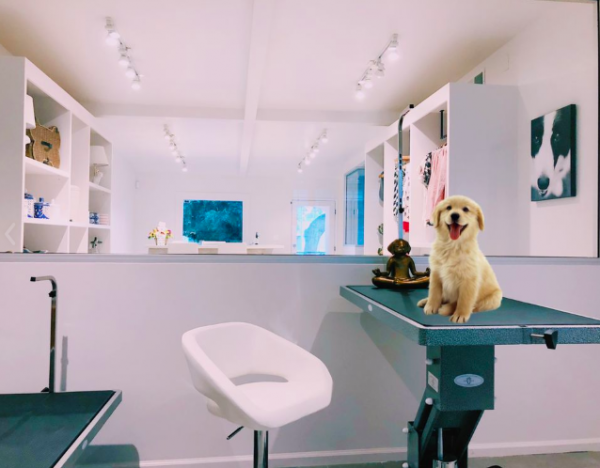 What Guild does not mention, perhaps a reflection of his shyness, is that Groom also has become the dog grooming salon of choice for celebrities such as Jennifer Lopez, Britney Spears and Ellen DeGeneres. Then came Placepull, which Guild doesn’t plan to leave anytime soon. “We focused on restaurants for a variety of analytical factors,” said Guild, whose passion for analytics is quickly evident after meeting him. “They have the highest organic local demand of any local business, they have a high fixed cost structure and low average transaction size, which creates a need for a high volume of new customers to thrive and survive, and they are amazing for society and for preserving the American Dream. I have great respect for all of our customers – brave risk-takers who work doggedly hard to build something from nothing that will improve their community. Today, Placepull helps restaurant clients who operate in hundreds of locations in dozens of states. What makes it stand out from its competitors? “One word: focus,” Guild said. “We’re obsessively focused with the process of customer acquisition for restaurants and we don’t do anything else. And we only focus on one way of doing it: through converting local demand that exists in every city into new customers. “That maniacal focus on being the best solution in the world for a small group of people, rather than being a good solution for a large group of people, is exactly what makes us so effective and relevant to our market. “I will be building Placepull for at least the next decade, and I am committed to revolutionizing how local businesses market through technology,” Guild said. “I refuse to consider other ventures, no matter how green the grass on the other side looks, because I’ve made a commitment to me to build this company and improve life for local business owners generally. He is on the Leadership Council of the West Hollywood Chamber of Commerce and the Forbes Agency Council, an invitation-only membership organization for executives in successful public relations, media strategy, creative and advertising agencies. Then there is the reading – 182 books a year (an average of one every two days.) And online courses. 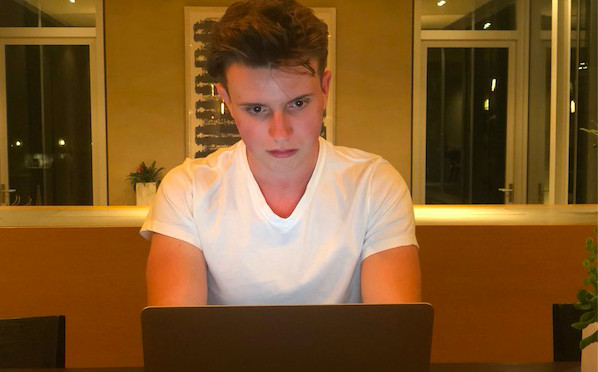 He was the youngest ever to take courses from Harvard Business School online (starting at 17 – lower than their minimum required age) and he still takes lots of online courses to supplement them. That’s the life of a self-confessed entrepreneurial addict. Great article! Inspiring, and gave me some ideas for building my book design and publishing services company. Great article! Super read! Brilliant guy. Thank you Wehoville team for being so kind and for sharing my story. I’m honored that you took an interest in me, proud to be featured on your website, and grateful to be a part of the West Hollywood community. My hope with doing this interview was to inspire other entrepreneurs within our community and to break out of my shyness and guarded privacy measures to be a resource for the brave people in our community hoping to improve their lives. I feel privileged to have been born into such an amazing, nurturing community and for all of the amazing people in West Hollywood who have been critical to my growth.